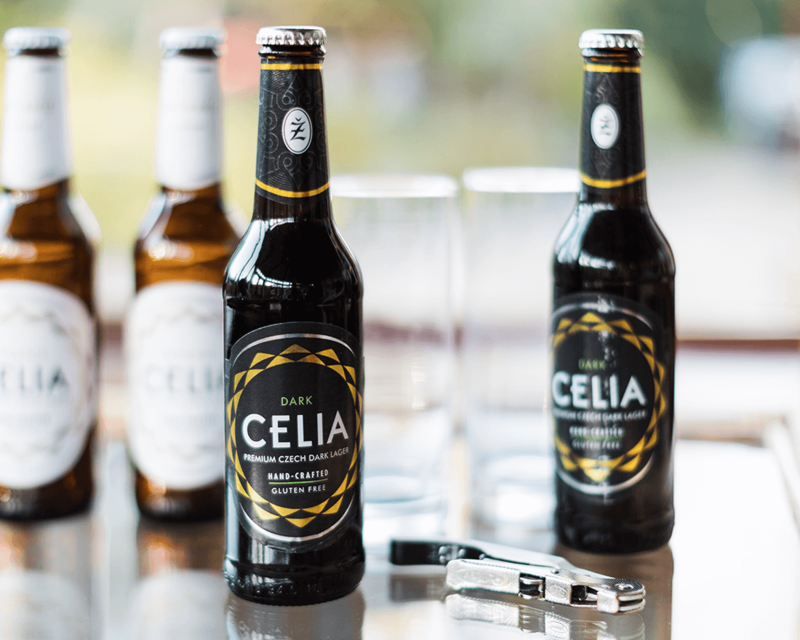 Located in the historical Žatec town in Czech Republic, famous for growing the world-renowned Saaz hop since 1004, is a new brand of Gluten-Free, Czech craft lager, names CELIA. 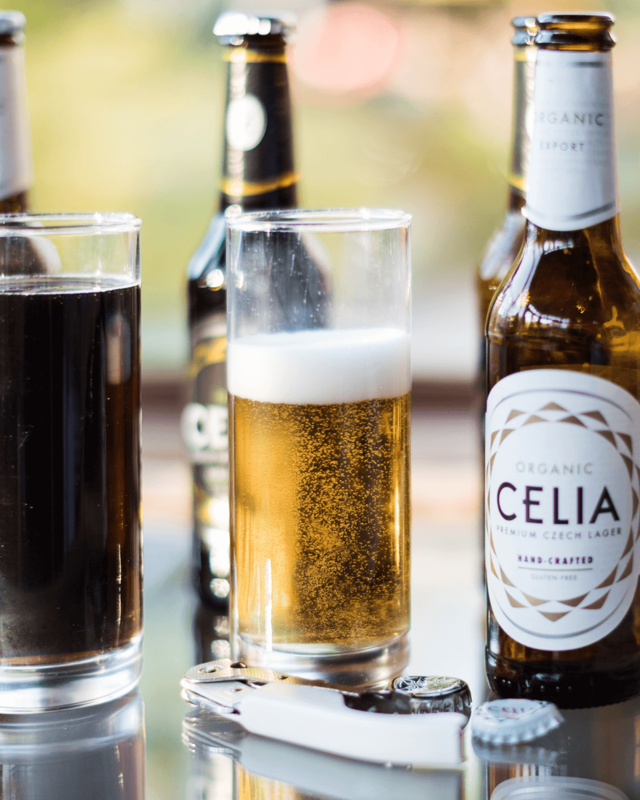 Available in two variants: CELIA Organic and CELIA Dark these two premium beverages are brewed for over two months- which includes a fourteen-day open vat fermentation process and only natural carbonation. 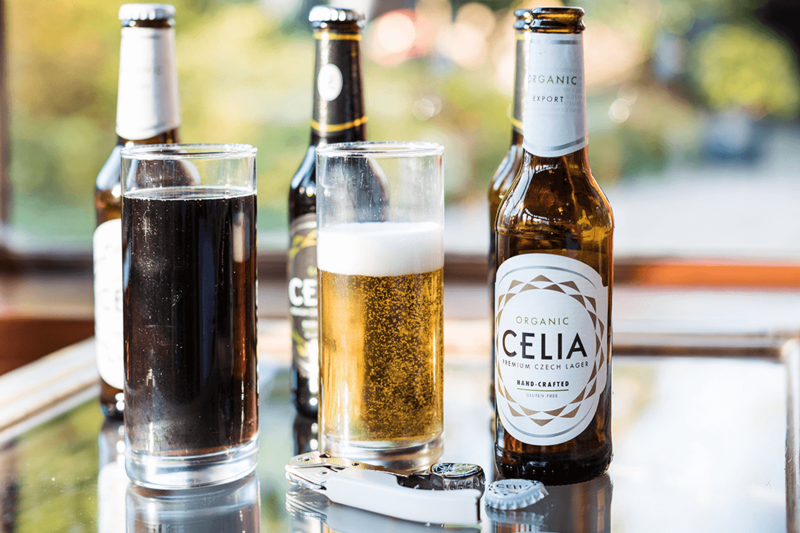 CELIA lager, brewed inside the castle walls of historic Žatec is crafted to remove gluten through a de-glutenisation process. The brewery uses only quality local ingredients to deliver two seriously-sophisticated lagers. Ape were sent both bottles to try, and can report that both taste superb. There is a growing group of the population with a gluten intolerance, also known as coeliac disease- an immune reaction to eating gluten, a protein found in wheat, barley and rye. If you have coeliac disease, eating gluten triggers an immune response in your small intestine which can lead, essentially, to fatigue through malabsorption. But why shouldn’t coeliacs enjoy lager too? Enter CELIA. To be a true lager (or beer) the Reinheitsgrebot (German Beer Purity Law) states the only ingredients that can be used in the production of beer are water, barley and hops. 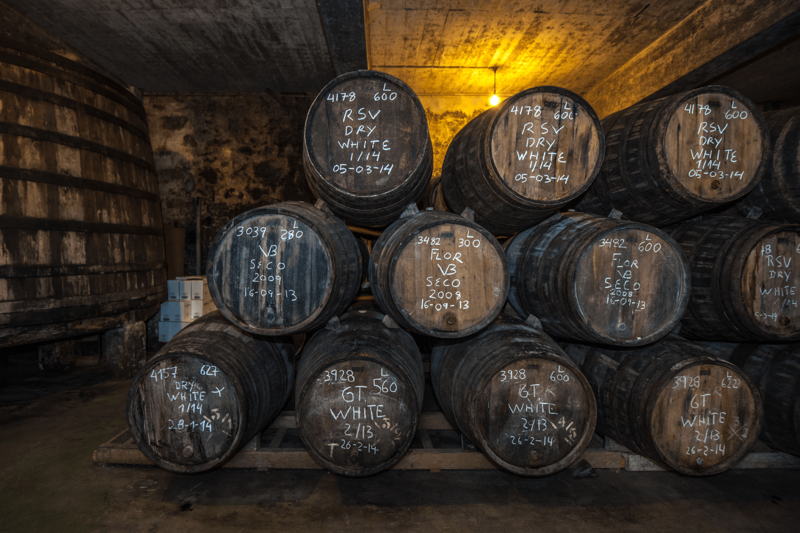 After years of research the CELIA team identified an enzyme to bond with the gluten which works during the lagering process in the castle cellars. CELIA run only the finest local organic ingredients through its innovative silicone filtration system. Ensuring gluten is removed but there is no compromise on flavour. 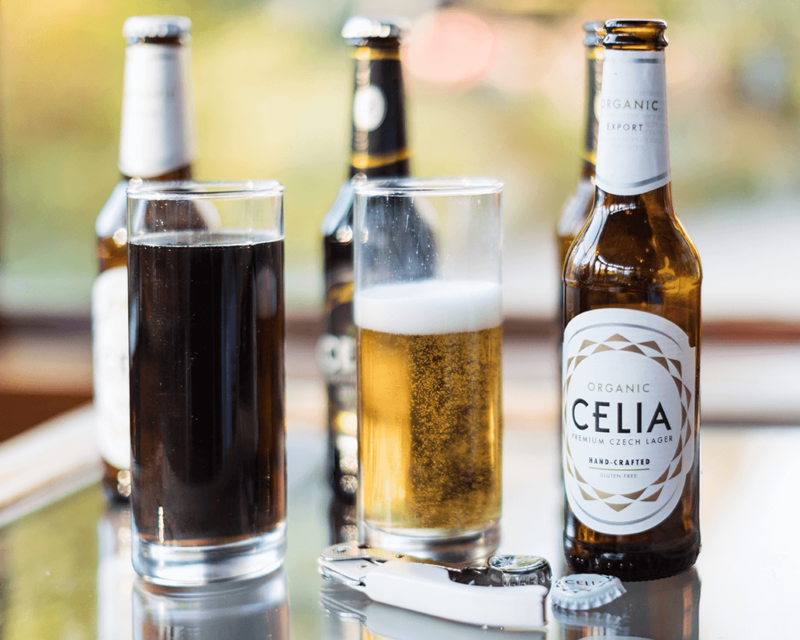 CELIA Organic boasts a light, delicate fizz and a delicate bitterness with a hint of citrus thanks to Moravian malt and single Saaz hops. We found it pairs well with food- think gourmet burger with triple cooked chips, although we must add it’s also suitable for vegans. Available to buy at Tesco, Waitrose and Oddbins priced £2.49. 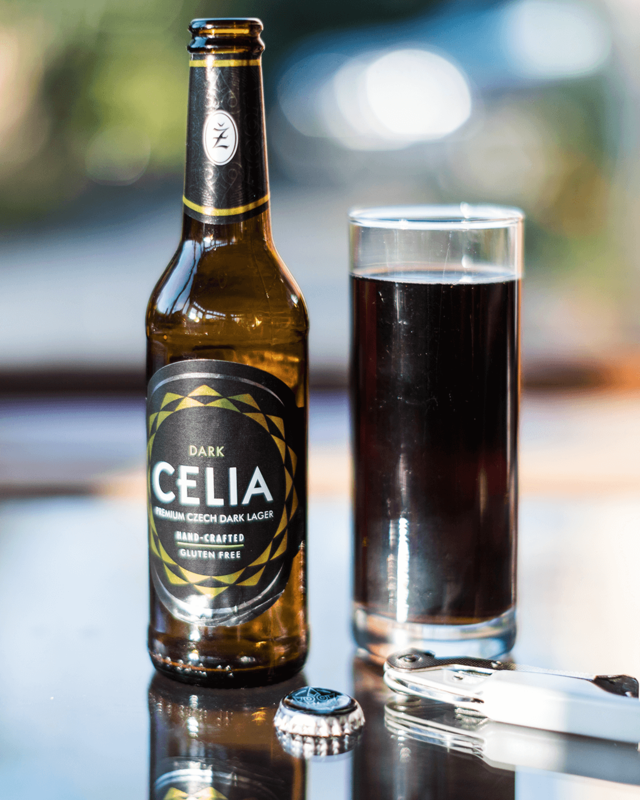 We found CELIA Dark to possess a slightly nutty, caramel flavour with undertones of rye bread. It’s ideal for those who prefer a darker, strong tasting lager and is also suitable for vegans. The Dark lager is densely black with an almost ruby red hue and a distinctive coffee like aroma. It’s thick and chewy on the palate with a big toasted malt character. Available to buy at Ocado and Oddbins priced £2.49. 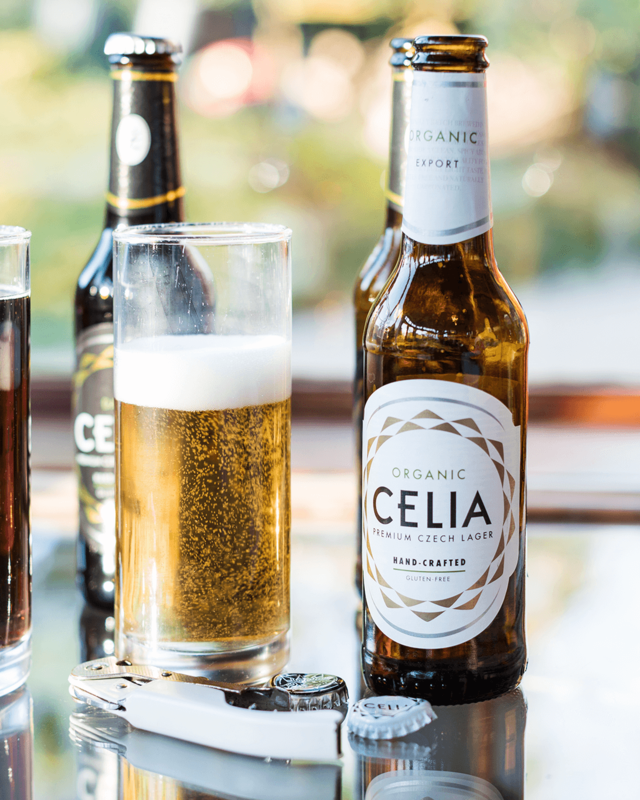 Typically, we aren’t sold on ‘free-from’ or ‘organic’ – where used as purely a marketing initiative but CELIA have created a lager with a real purpose – a great tasting duo of lagers which can be enjoyed by those with or without a gluten intolerance.